We love how totally into each other these two are. Ebuka Obi-Uchendu and Cynthia Obianodo were spotted on the Front Row (FROW) of the Heineken Lagos Fashion & Design Week yesterday night as they watched Nigerian designers do their thing on the runway. They had their Igba Nkwu a couple of weeks ago (click here if you missed it) and we can’t wait for their white wedding in November. Abeg,when do you intend to call her a wife? Must everything be about hate? According to the Nigerian constitution, you are man and wife only when you have both signed your marriage certificate in the presence of witnesses. Marriage certificates are gotten only in the marriage registry, church or mosque. So therefore, Ebuka & Cynthia are not yet husband and wife. Isn’t it different in Igboland? Once you pay bride price, she is your wife. Was it the introduction or wine carrying they did? Actually the Nigerian constitution recognizes traditional marriages. There are two kinds of marriages recognised : Marriage under the Act and Marriage under Native Law and Custom. And in Igbo land, regardless of religious affiliations, once a man pays your bride price you are his wife. So yes they are man and wife. Colonial confusion will continue to plague us forever. If these people get married the statutory way, after carrying wine and stuff, where does that leave the status of the traditional ‘marriage’? My point is that the law will only recognize one or the other. As such, for many in this modern day, the traditional wedding (engagement) is merely ceremonial, with no intent for it to be binding. You can’t mix and match and then choose as you please. I stand to be corrected, though I realise Bellanaija is no citadel of learning and that this is a ‘play’ forum. In Igboland, traditional weddings aren’t engagements. See how you are exposing your help ynotqnce before igwe nmadu. Read what you wrote again and kindly see you f it makes sense. You don’t seem to realize that most traditional weddings now have marriage certificates signed by the village heads and the crowd at the traditional weddings are genuine witnesses not rented crowds nor robots. For all intents and purposes, traditional weddings are both legally and culturally binding. Even the bible ( for Christians) recognizes only traditional weddings. There is nothing like white wedding in the bible. It is a western creation. Your ignorance is so amazing. Where in the Nigerian constitution does it say a marriage certificate makes a marriage valid? @Meah, my sister I just tire. BN, pls Igba Ukwu or traditional wedding is wedding oh as is Registry. For Goodness sake, can we stop with this over glorification of ‘white’ wedding? If a person decides to perform only the traditional wedding rites, they are married in the eyes of the Law and I make bold to say in the eyes of God. Dear BN, your BN cuisine page is inaccessible from my phone…I urgently need the plantain recipes by ugochinyelum…you people should not allow your mobile app spoil my greatness! Fiancee abi wife? BN, were you not the one that posted their traditional wedding pics some time ago? Abi traditional wedding is not counted as marriage this days? 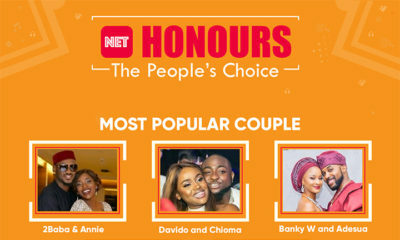 I love this couple sha despite the fact i use to have a crush on Ebuka back in the days. Just happy he finally hitched someone he is crazy about lol. For Catholics (which Ebuka and Cynthia are by the way)…..you’re not married till you recite your vows in church. Religion supersedes culture for catholics. That’s their belief…everyone is entitled to theirs. Don’t force yours down their throats. And who says i’m forcing my beliefs on them? Did you read my comments at all? All through i was simply asking questions and i stand to be corrected. Please take a chill pill. No one is quarreling with you here. Ahn ahn, Na wa o! C my friend is Catholic and she moved into her Catholic husband’s house after trad wedding. I also know so many catholics that did same. Catholics at least Igbo catholics embrace tradition more than any other church in Nigeria. People that have traditional dances and masquerades in front of the Rev Father and wed pregnant women without issues? 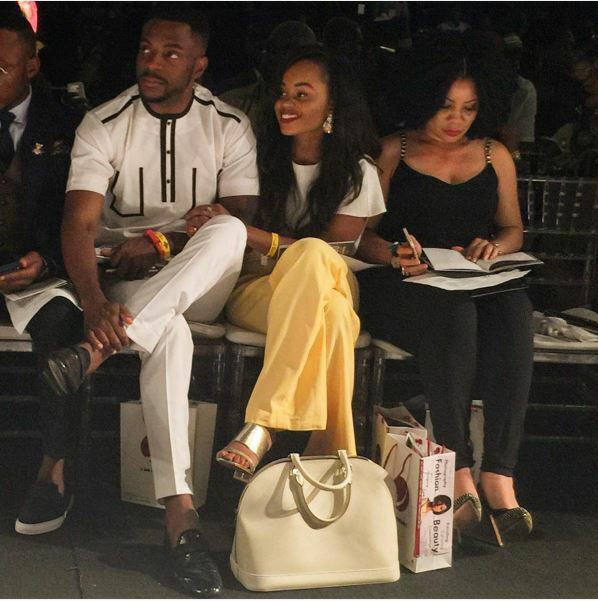 I love the fact that ebuka sees the fun in attending a fashion show with his gurl. I’m ibo but most ibo dudes i know aint got time to play fashion games with deir gurl. Dey wl tell u dey r busy chasing money to keep you happy. LOL!! I know there are still a few of dem cool alpha males out dere! Oh Lord! Added to my list of a BADTHR( pronounced badder) guy-meaning- [born-again,dark, tall, handsome and rich]Fairy tail dream of mine! Add an ebuka kainda guy for me!!bikonu! Jk jk! Aww. They’re so cute together. he looks like he’s trying hard not to sleep off. lol. @meah so this equates to “Nigerian people and their hate for their own culture” lol please do us a favor and get a life. Such a senseless generalization. BN lemme school you on the marriage act in Nigeria. There are two types of marriage recognized in Nigeria ;Marriage under the Act and Marriage under Native Law and Custom. Once you do your traditional marriage ie marriage under native law and custom, you are legally married to all intents and purposes in Nigerian law. You can only get divorced when your husband formally returns your wine and your family refunds the bride price. In Anambra state after the trad your family will carry your load to your husband’s house and you will live there, church doesn’t come into it. Most church weddings are viewed as mere ceremonies because many churches have not been licensed by the State ie Nigeria to legally marry couples which is why some people go the extra mile to wed in the registry. If your church is properly licensed, the Registry is not necessary .So BN, that is Ebuka and his wife,. I don’t see you calling any of the Okoye wives fiancée, is it because they have kids cos I’ve not seen their white wedding pictures? The Okoyes went to the registry sometime this year. I just love the way this lady smiles. She is always smiling. To whom it may concern, biko STOP CORRUPTING IGBO MARITAL CULTURE FOR US! Our marital rites culture is so beautiful and we do take immense pride in it! Igbankwu or wine carrying in IGBO land IS NO INTRODUCTION OR ENGAGEMENT! It is MARRIAGE! 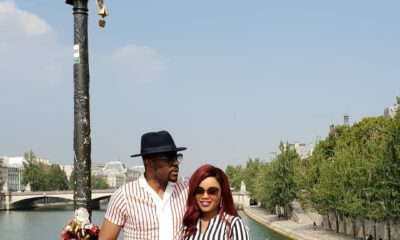 According to IGBO customs and traditions, Ebuka is a fully married man and Cynthia is his recognized wife. Once an Igbo girl gives a suitor pal wine or wine/non-alcoholic drink (as some modern people do now), and the man drinks it, the man becomes her husband and she his wife. Look at banners during Igbo ceremonies, you will always see ‘Igba Nkwa/Traditional MARRIAGE not Engagement. As for recognition, Igbo traditional marriages are duly recognized in any government parastatal in Nigeria. All you need do is is get an affidavit stating when you did your Igbankwu and other vital info. Biko, it is called OMENALA not Omenaelu for a reason! Bellanaija, take note and correct this mistake in your write up. Many of us Igbos are passionate about our culture too. Not after corrupting our culture, you Nigerians will open your mouths like tap and be saying “Igbos don’t have culture” bikokwa!!!! I tire. I wonder why she called the traditional marriage an introduction and why they’re calling them fiancees. They are husband and wife. No comma no ful stop. Fine couple! Love how Monalisa be acting like she is oblivious! Was their trado marriage nullified? BN annuld it by the social media power vested on them. 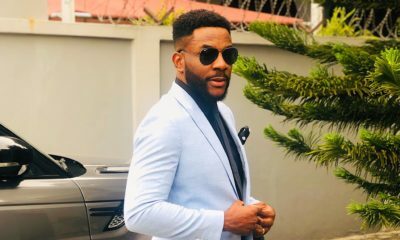 Ebuka and Cynthia are 100% married according to our Igbo custom and recognized anywhere in the world, not just in Nigeria. When a man does imego (bride price) and Igba Nkwu( wine carrying), he has fulfilled all righteousness and the woman is his wife in all ramifications. That was the trad wasn’t it? Introduction ke? Did they not do igba nkwu some weeks back? 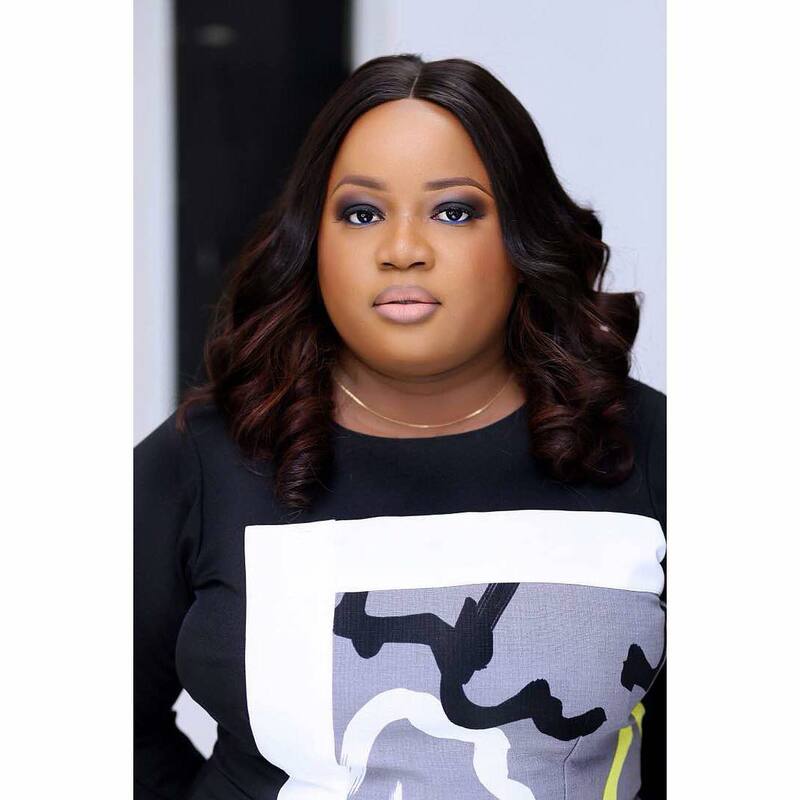 Bia BN you need seasoned reporters o. Igbos no dey do engagement and the like. Igbos do igba nkwu nwanyi, a traditional marriage after which the woman belongs with her husband. Let me explain, when kneels down for another man in her father’s compound and gives him a cup of wine what is saying to everyone present is “I choose to live with this man for the rest of my days and of my own free will, I accept his obi and leave my father’s obi!”. BN una get? They are married! So in your small mind Ebuka will pay for to be featured in BN with one solitary picture and his duly married wife mistakenly called fiancé? I beg give the guy some respect. BN thoroughly schooled. Next time don’t be an oya. Lol. Moreover, BN’s main thing is wedding, how you missed this is beyond me. You know Igbos have traditional weddings and not engagements. Na dat one we go dey school una for again in 2015? Don’t just make this expensive mistake again. Go and sin no more. You’re forgiven. Bella Naija we patiently waiting for your response ooo. Don’t pretend like you can’t see tge comments hehe?